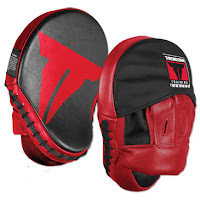 This is a great new innovation in the world of MMA(mixed martial arts) training. 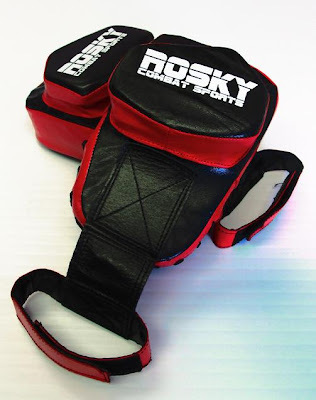 The Rosky MMA focus mitt is like no other focus mitt. It's a hybrid training system that allows a fighter to practice striking and defend against grabbing and grappling style attacks. The gloves are attached to the trainers hands with a velcro strap that is attached to the punch mitt. When the trainer lets go the mitt drops freeing up the trainers hands for a fight style transition. Allowing you to change from striking to grappling in the same training session. 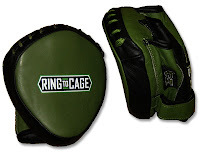 Here are a few pics of NJFightshop.com's owner David Grant showing the transition.